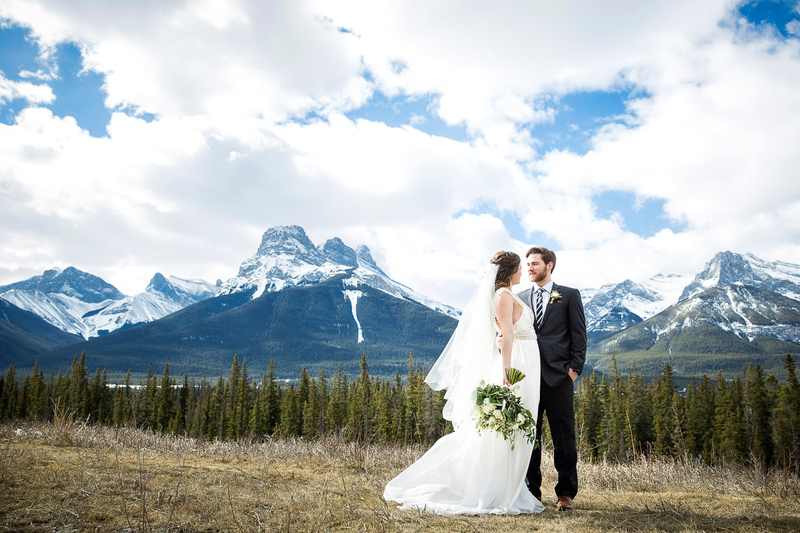 Are you considering a Canadian Rocky Mountain destination wedding? 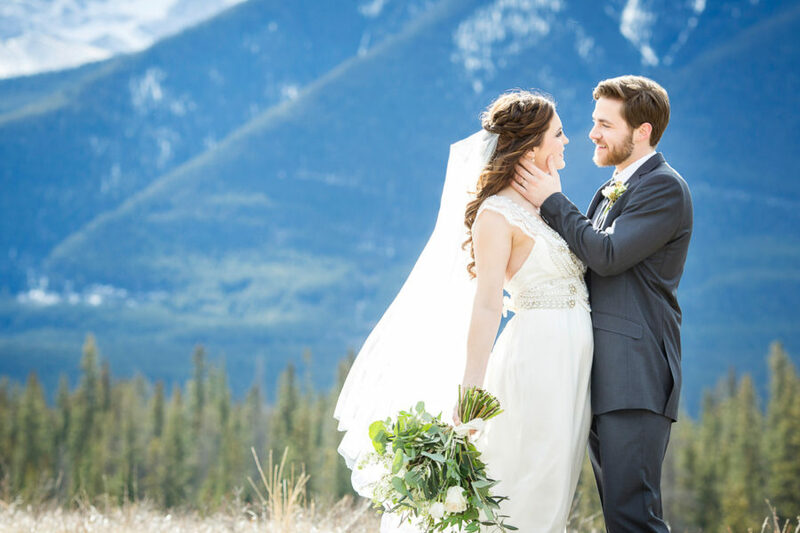 The Rocky Mountains are one of the most beautiful places on earth for a destination wedding! The stunning, scenic backdrops are a huge draw for couples. There’s something serenely beautiful about a couple embracing in front of a crystal clear, lake or set against a rugged peak dressed in their wedding finest. It’s romantic, beautiful and the photos are not only incredible keepsakes, but are gorgeous works of art that you’ll proudly display throughout your home. 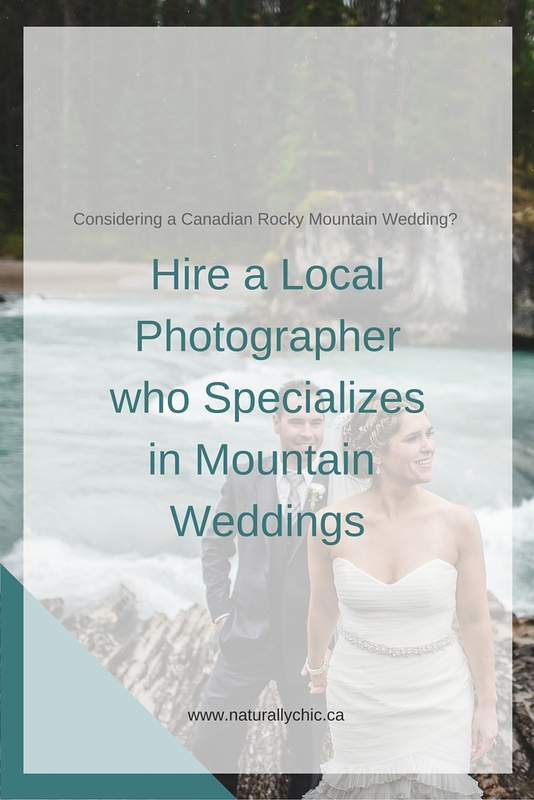 Tip #30 – Consider hiring a local photographer or a photographer who specializes in mountain weddings. Local wedding photographers who specialize in mountain weddings, are a great resource for your wedding photographs. Not only do they know lots of great, outdoor photo locations, but they know which ones are easily accessible in a given time frame. 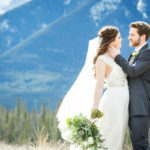 There are so many incredible places for photos in the mountains, but you’ll want to take into consideration the time you have allotted for photos. If you have limited time before your wedding reception, you’ll want to make the best use of your time. You won’t want to spend your time contending with traffic or scouting for locations. A wedding photographer who is experienced in the area, can steer you away from potential busy areas and suggest alternative locations if the ones you are wanting are all ready occupied or busy. They’ll also know what you can expect at the various locations. They’ll know if you can safely navigate the area in heels and if not, they’ll suggest you bring comfortable walking shoes. They’ll likely have experience with what position the sun will be in at a particular time of day, if the area is prone to windy conditions or other factors you may have to consider. In short, your time will be spent taking photos in gorgeous locations. If the photos you’re wanting are a little more off the beaten path, it’s important to have a photographer who knows the area well and is comfortable in the outdoors. This is especially important if you are wanting photographs of an adventurous nature such as on a ski slope or hiking trail. There are many area photographers who are active in the outdoors and are comfortable on skis or in remote areas that are accessible only by helicopter. Take the time to select a photographer who’s work you adore, but is also right for the type of wedding photos you have in mind. Meet with potential photographers and look at their portfolio. Ensure you are comfortable with their personality. Do they have work that is similar to the type of shots you want? Discuss with your photographer the types of shots you want and what you can expect at the various locations. You’ll know doubt have incredible photos to display for years to come! 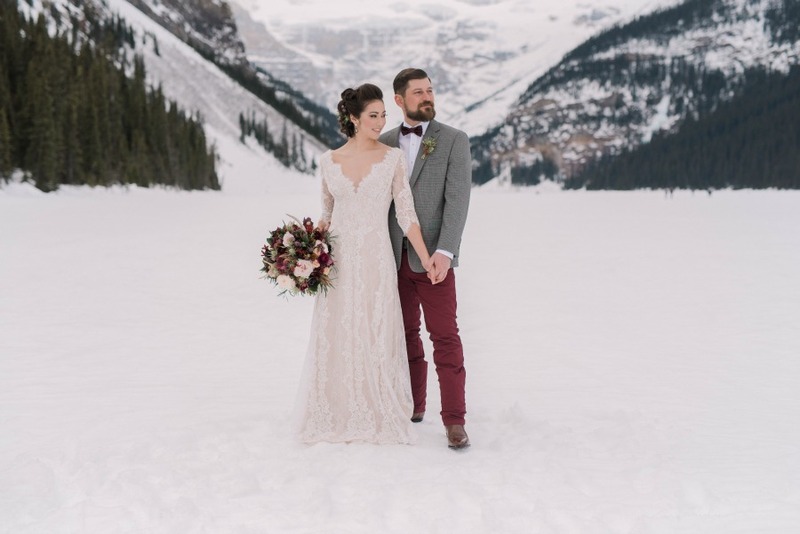 Contact Naturally Chic at hello@naturallychic.ca for more information about planning your Canadian Rocky Mountain wedding!